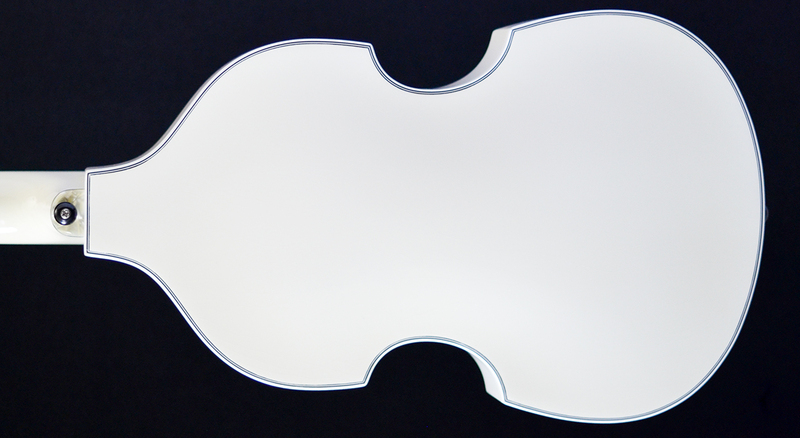 This white Eco Violin Bass has a striking blue Necuron-840 composite fretboard. 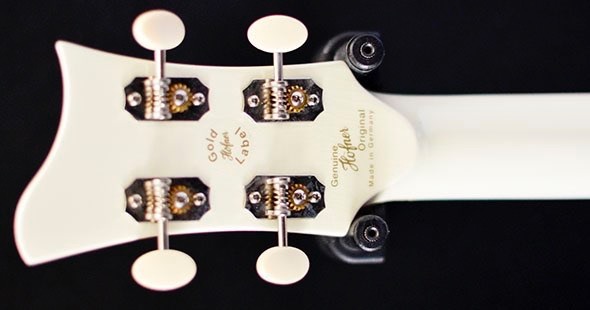 As wood types such as ebony and rosewood are in increasingly short supply, Hofner decided to offer an eco-friendly alternative. 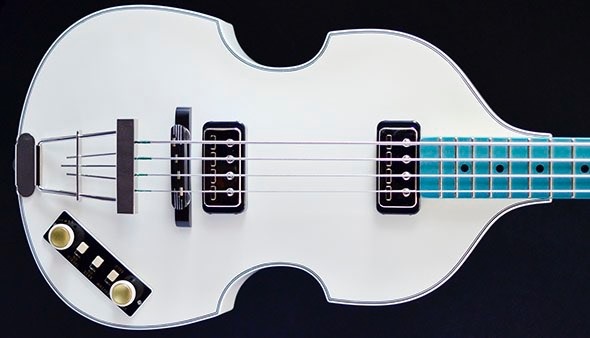 The superior, environmentally friendly wood types that give us the acoustic sound of this Hofner hollow-body bass guitar are reliably amplified by two Staple Nickel humbuckers. 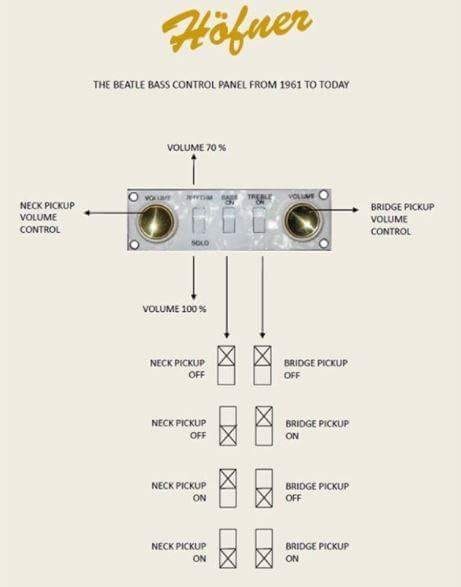 The renowned Hofner electronics - consisting in this case of two volume potentiometers and three switches - allow you to accurately tune the sound of the Eco Violin Bass Ivory to your liking. The full, balanced core sound of this instrument's amplified sound comes mainly from the maple - allowing for a pleasantly lightweight, high-quality violin bass. The spruce top adds solid trebles. Additionally, the Eco Violin Bass comes with a Hofner Bullet Case.